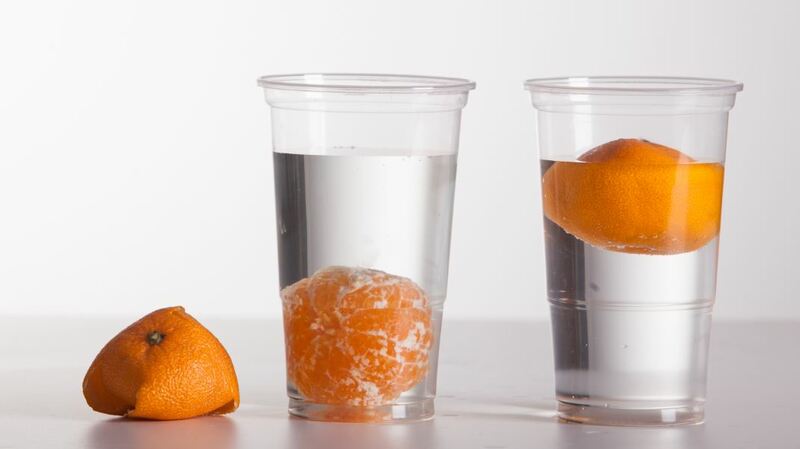 Drop the satsuma into the glass of water and it will float. Now peel the satsuma and drop it in again and it sinks. The peel holds a layer of air round the satsuma. (That’s why they peel easily). This air acts as water wings, just like those that help you to swim.